I'll have a vlog up soon - meanwhile, SO MANY THANKS for the responses on my last vlog post. I'm going to respond to all the comments and emails soon - I am soooooooooooooooooooooooooo sorry I haven't been responsive lately. If I tell you the amount of stress Nigeria showed me in the last 2 weeks enh?! Me that was hesitant to leave in the first place... by last week, I couldn't leave quickly enough! Anyways, now I'm here and truthfully I'm a little anxious about what comes next. This isn't a vacation. I'm here indefinitely. I have to get a job. I kent sit down and expect money to fall from the sky (although that would be AWESOME!!!). I've gotten some good messages on Instagram. If you have any verses or words of encouragement, they would be extremely helpful right now. I've had butterflies in my tummy for a few days. I gorra just breathe, slow down, and plan. I should get back to regular posting this week, so make sure to keep checking back. Love all y'all! On jobs: there is no fear for children of God––He will provide. If God be for you, who can stand against you. Purpose will find you wherever you are. Even Joseph couldn't escape his destiny despite being in prison. You're right. Definitely need to cast my cares and fears on God. Thanks! I know. I even have to remember the fun things I used to do, and find new ones. Thank God you had a safe trip. I dunno why but I just know you will be fine... settling down, getting a job and all that....you will be just fine. Like it's said in the scriptures - Lines would fall for you in pleasant places. Thanks Tamie. I'm going to take it one step at a time. Lirru by lirru. All the best with everything Berry darling. It is well with you! Meanwhile, I couldn't bring a lot of my hair products with me, but I made sure to decant your oil and take it along. Doing a hot oil treatment right now. Thank God for journey mercies...He brought you safely to 'it', He'll not leave you to 'it'..
Do enjoy your 'new' home. That's how Merry Berry relocated o. Sniff sniff. Wishing you the very best. God will order your steps. He will guide you and be with you at every point. You will never walk alone. Thanks so much. Hugs! Really big hugs! Lol @ "I couldn't leave quickly enough!" Ohmygosh! I had no idea you'd moved! Girl we're all running! Lmao! Ooh wow! didn't know you had moved! 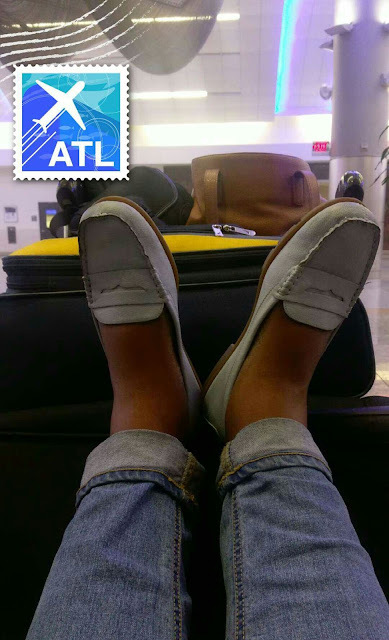 Just stumbled on this post, haven't been to blogs in a very long while :) To think that I had been in Atl for the last 2 weeks! would have been nice to hook up with you, will reach out next time. All the best with the move and congrats with the baby!.